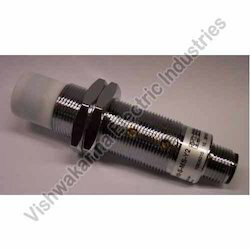 Manufacturer & Trader of Proximity Switches & Proximity Switch. Our product range also comprises of Fly Ash Brick Machine Control Panel, Electrical Control Panel and Electrical Panels. We provide wide range of Proximity Switches. It is used for different kind of application in machine like tools, foundries, rolling mills etc. This switch is electrically connected. It has very sensitive electronic circuit. It is producing effective output signal. This is shock proof and mechanically constructed. It has some capacitive sensors also. It is very fluent and provides extended service. It has shaft and support bearing for monitoring. Looking for Proximity Switches ?